Using the draft statements to diagnose issues in the Jazzit financial statements. Consider adding the draft financial statements by map number to your client document manager. 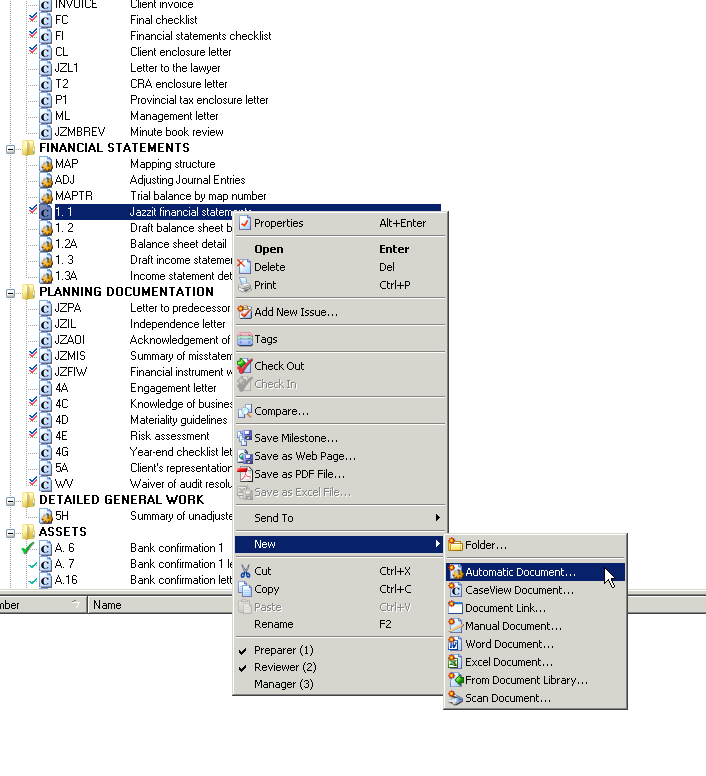 These statements require no extra setup as the layout is included when you copy in your Jazzit mapping structure. The FULMST master file already contains the above documents. Use CaseWare`s Copy Components function (File | Copy Components) or copy and paste between the document managers. If FULMST is not available, please use the following instructions. 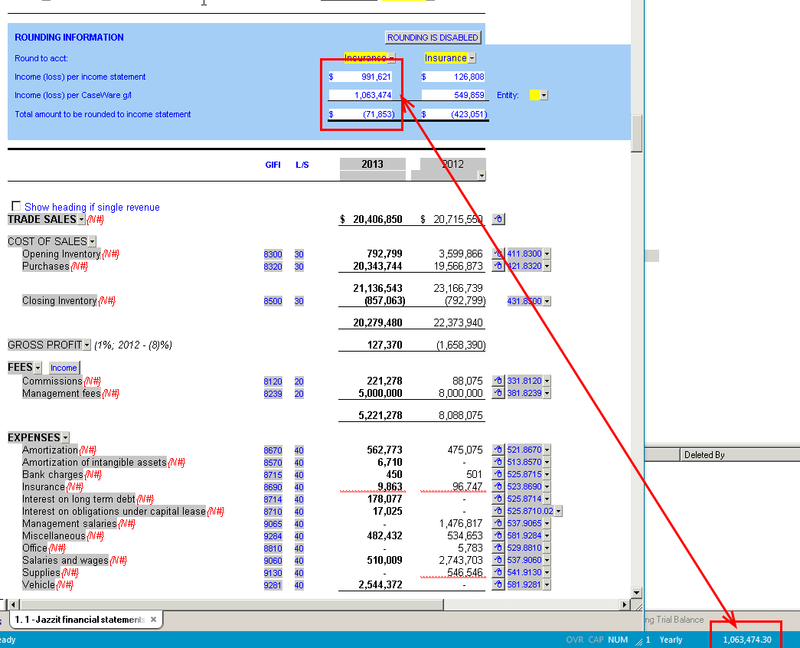 In CaseWare, locate the Financial Statements in the document manager. 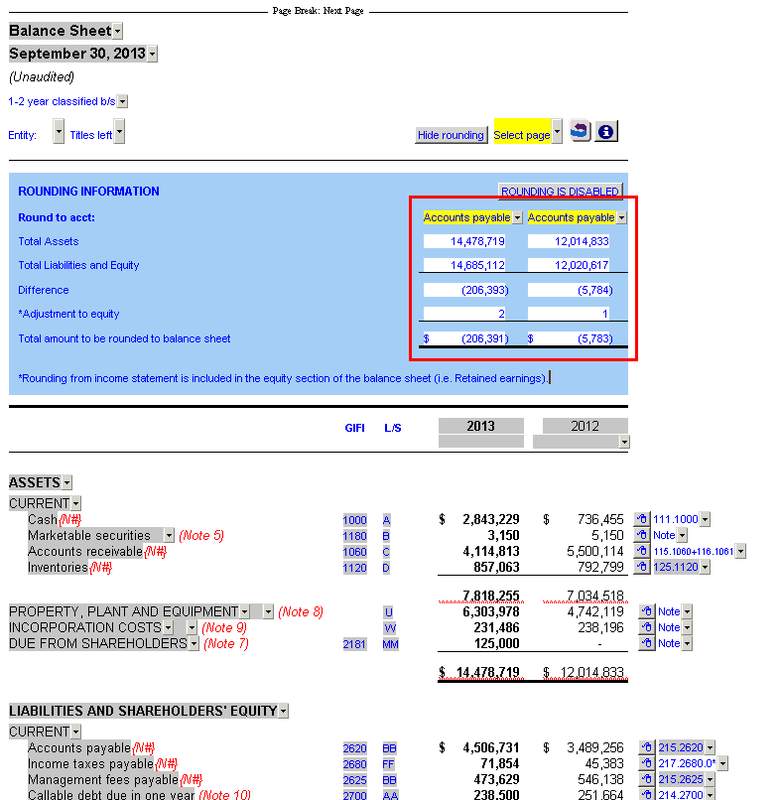 Right-click on the Financial statement and select: New | Automatic document. This will open the ‘New Automatic document’ window. 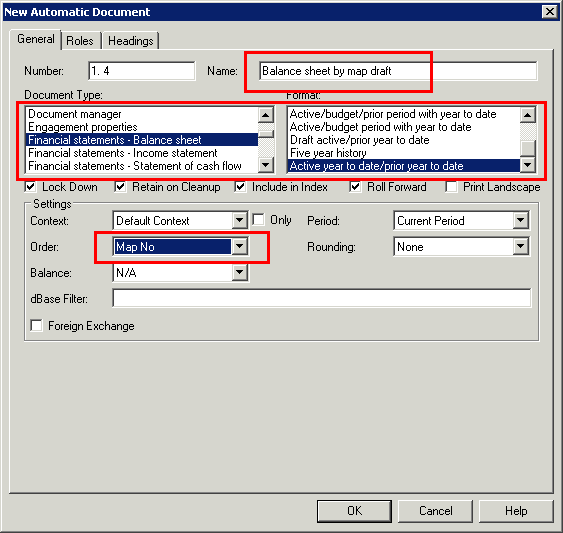 Enter “Balance sheet by map draft” into the name field. Click ‘OK’ and the newly created document will be added to the document manager. 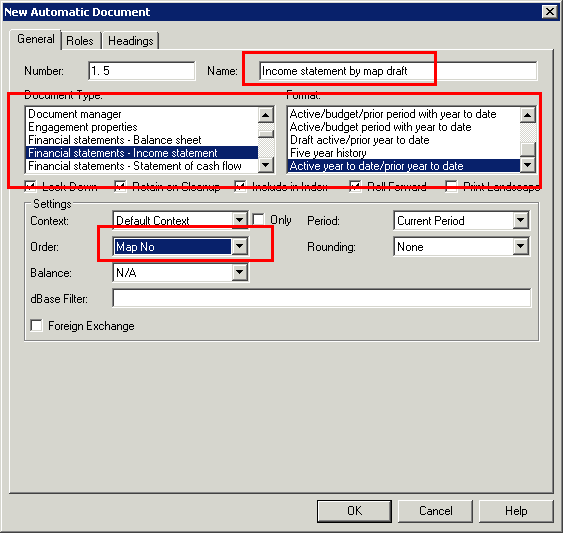 Right-click on the newly created Balance sheet by map draft and select: New | Automatic document. 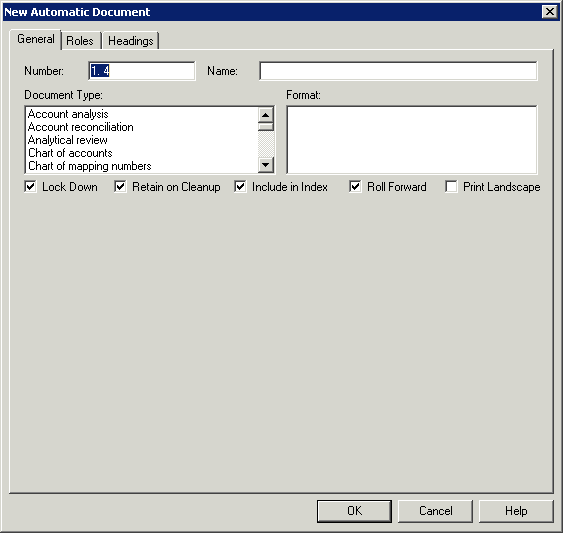 This will open the ‘New Automatic document’ window. Enter “Income statement by map draft” into the name field. If the Balance Sheet, check to see if the ending current year Retained earnings agrees to the beginning prior year Retained earnings. 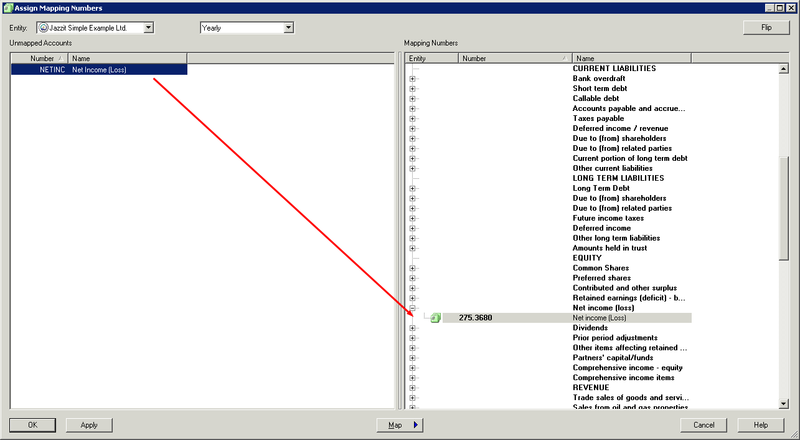 It can be checked by opening the Balance Sheet by map draft. If they do not agree, determine which balance is correct. You may have to post adjusting entries to correct either the prior period ending balance or the current period opening balance. This issue often occurs when a client has posted year-end adjustments to the wrong year. If the Net income line is absent from the equity section, this may indicate that the Net Income account has not been mapped. Use CaseWare’s Assign Mappings function (Account | Assign Mappings) to map the net income account. 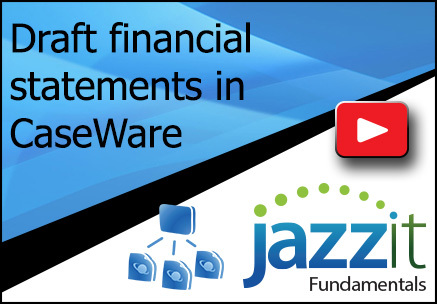 A rounding difference in the income statement occurs when the Net income per the Jazzit Financial Statement does not agree with the Net income per CaseWare. 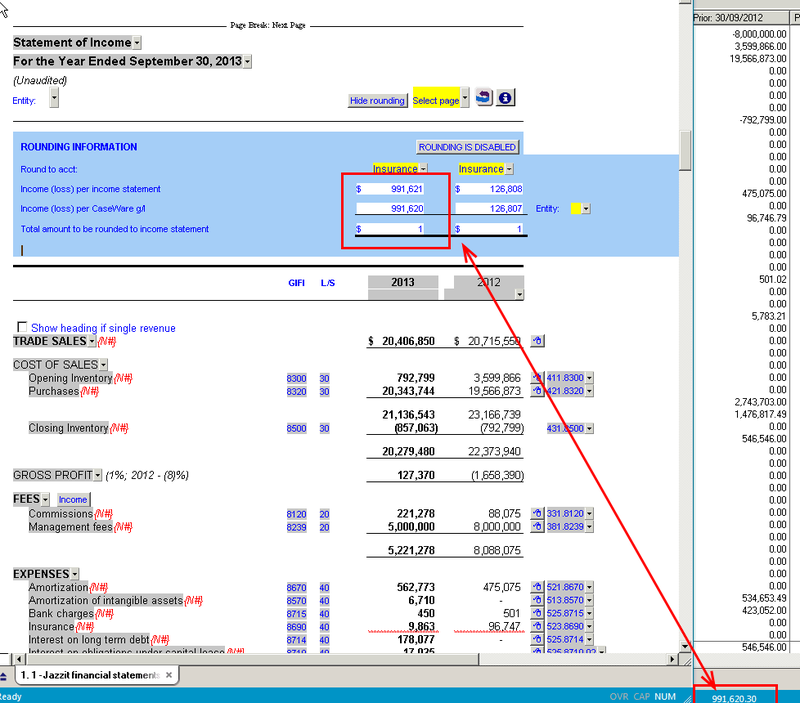 The Net income per CaseWare can be found at the bottom right corner of the CaseWare window or in the Jazzit Income statement rounding panel. 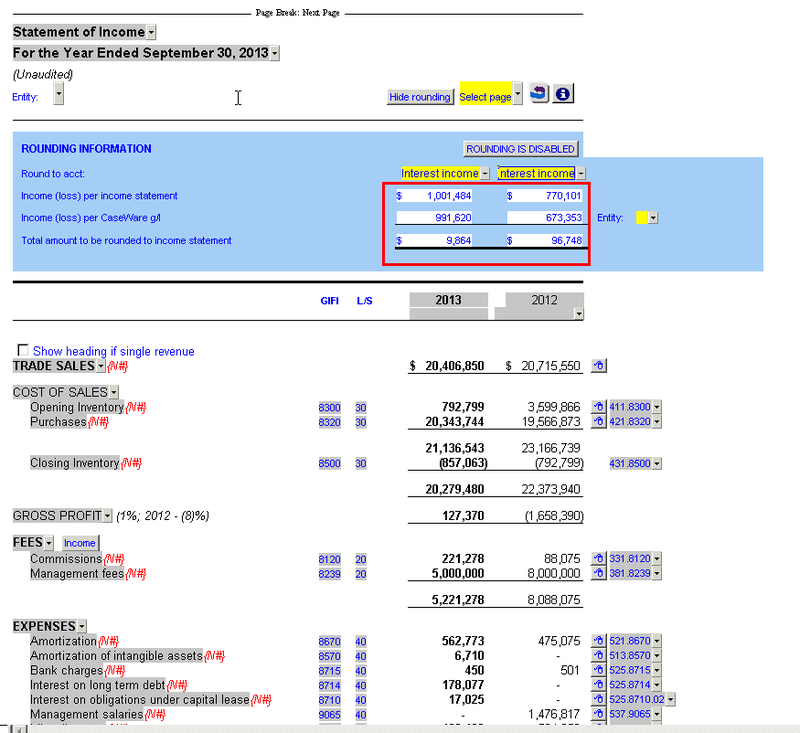 Open the Income statement by map draft. You may notice, for example, the Net Income per draft differs from what is reported by CaseWare in the Status Bar below. In this particular case, the amount reported in the Status Bar agrees with the amount before income taxes, which indicates there is possibly something wrong with the Income Tax account. To investigate further, we open CaseWare’s Working Trial Balance to discover that the Income taxes – current account is assigned the wrong type (Balance Sheet), instead of Income Statement. Switch it to Income statement (I). Alternatively you can use Tools | Options | Autofill to reset any account property that differs from the mapping structure. And the Net Income now agrees to CaseWare’s. This is just one example of an issue the Income Statement by map draft could help you resolve.